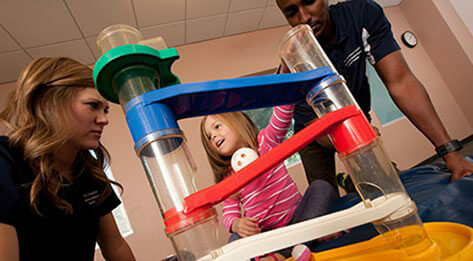 Physical therapists are uniquely qualified practitioners in the diagnosis, treatment, and prevention of impairments or limitations related to movement, function, and health. ATSU physical therapy department faculty members and staff are committed to elevating the physical therapy profession and promoting the health of society by educating Doctor of Physical Therapy students in a supportive learning environment centered in whole person healthcare. The result is a progressive curriculum encompassing post-professional education opportunities for practicing clinicians, community partnerships, scholarly work focused on improving the human condition, and advocacy that promotes access to physical therapy services. 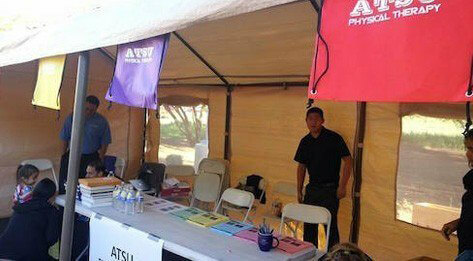 ATSU-ASHS’ physical therapy programs are always looking for new, highly qualified, high-quality training sites. If you know of a facility interested in providing rotation or internship positions for physical therapists, please contact Director of Clinical Education Tawna Wilkinson, PT, DPT, PhD, PCS at 480.219.6163. The online Post-Professional Doctor of Physical Therapy Non-Degree program offers courses for international physical therapists looking to complete their U.S. licensure requirements. Faculty members of the ATSU physical therapy department are consistently acknowledged for their personal interactions and accessibility that create a supportive learning environment. Each faculty member has expertise in their area of teaching, and involves students in both their scholarly ​​work and community service activities. Preeminent, lifelong professional learning provided by the ATSU physical therapy department empowers students and clinicians to continually provide excellent patient care. 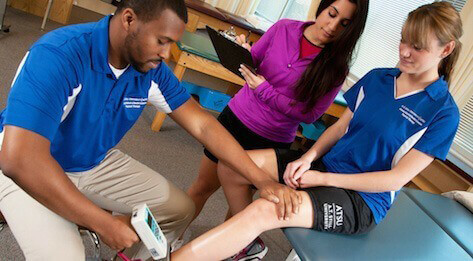 The department promotes high quality, continuing education throughout the span of a career in physical therapy – from the entry-level DPT student passionate about becoming a physical therapist, to the licensed clinician who aspires to advance with the doctoral level education or specialty training, to the clinician who is dedicated to remaining current through continued education. All of our programs emphasize clinical reasoning skills, evidence-based practice, active learning, and whole-patient health care. Service learning is a co-curricular theme in the entry-level program and giving back the community is an underlying department value. All department core faculty are engaged in scholarly activities related to improving the human condition and related to best practices for physical therapy education. Faculty members have full access to a well-equipped research laboratory and encourage students to be directly involved with their research projects. Many department research publications and national presentations include students and graduates as co-authors. While faculty maintain their defined research agendas, they also desire to serve as mentors so students can become confident clinician scientists. Explore the following courses that keep you compliant and connected. ATSU-ASHS Physical Therapy Department proudly offers continuing education to all physical therapy practitioners. We ensure excellence in the CE products offered through faculty review of every course. ATSU Physical Therapy Department is recognized by the Arizona State Board of Physical Therapy to provide category A continuing education courses. A.T. Still University’s Continuing Education department provides support for the University’s schools, graduates and the professional community to fulfill their potential throughout their careers and ultimately impact patient care and well-being. The Continuing Education department serves to improve professional knowledge and skills; fosters a positive impact on patient outcomes; exposes clinicians to new information; and develops an interdisciplinary, healthcare team approach to treating patients and improving community/population health through the development and implementation of cost-effective, evidence-based education programs. In honor of #NOMWeek, some of our DO students share what inspired them to pursue osteopathic medicine.